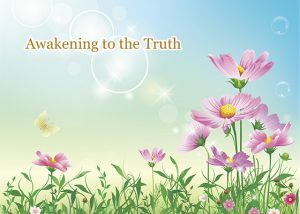 I’ve noticed that an increasing number of people are interested in reading Falun Dafa informational materials that practitioners distribute. I would like to share a few of my personal experiences. At another area with many residential units, I brought many informational materials to distribute. Before I finished handing them out, a woman walked out of the corridor reading a flyer. She continued to read while walking into a clinic full of people. On a different occasion, someone took a flyer I had just distributed to a crowded market. My daughter recently went to her classmate’s home and saw a copy of a Minghui Weekly on her desk. Her classmate said she really enjoyed reading it. My daughter explained to her the importance of withdrawing from the Chinese Communist Party and its youth organisations. She helped her classmate quit the Party and advised her not to join them again.